In the penultimate installment of our 12 Days of Giveaways we've assembled a very special set of treats. We've curated four geek fabric assortments, including a steampunk FQ bundle, a sci-fi FQ bundle, a science FQ bundle and an alt-aesthetic fabric bundle. With each of these fat quarter sets, we'll also include a 26-spool box of Gutermann thread. Pretty cool, no? To be entered for a chance to win one of the geek fabric bundles along with a set of Gutermann thread, leave a comment on this blog post or on the corresponding link on the Spoonflower Facebook page. We'll accept entries that come in up until 7 am EST on Dec. 11th, but please be sure to leave us enough information to be able to track you down by listing your Spoonflower username in your comment. We'll choose four winners and announce the results tomorrow, December 12th, around 10:00 AM Eastern Standard Time. Tomorrow we'll also hold our last giveaway! Congratulations to the winners of yesterday's Day 10 drawing for handmade goods from Spoonflower Etsy sellers: Adrianne Hamilton, Spoonflower user princezz1252, Jane Riddles Sheffler, Spoonflower user mariao, Ruth Knapp Vallejos, Spoonflower user Staceysew, and Veerle Lesecque. Our Alt-Aesthetic fabric bundle today consists of Mershim by Cateanevski, GHOSTS—NIGHTSHADE by Cateanevski, GIANT FLYING SQUIRREL ATTACK TOILE by ThirdHalfStudios, DOTD SKULLS WHITE SMALL by ThirdHalfStudios, BEAUTIFUL BONES: SIRENAS – GOLD by JessicaSoon, ALICE IN STEAMLAND DOLL PATTERN by CurlyCue, BLACK SPIDERWEBS ON YELLOW by MuddyFoot, AMBITION by Nalo Hopkinson, and LARGE GHOSTLY SQUID DAMASK by PattySloniger. Sci-Fi bundle: TIME TRAVEL MAP by Jenimp, MADMAN IN A BLUE BOX by StudioFibonacci, GREEN NEBULA by Corseceng, INVADERS LIME by ThirdHalfStudios, VITRUVIAN DALEK by StudioFibonacci, STARFLEET – COMMAND by StudioFibonacci, THAT'S NO MOON… by ThirdHalfStudios, MACROCOSM IN FOG by DolphinandCondor, and TIME IS A MAN MADE CONCEPT by PoetryQN. Science bundle: IDIOM PUZZLES by PrimeNumberGirl, CHEMISTRY ALPHABET by Melisza, EQUATIONS AND EQUATIONS by PrimeNumberGirl, CHEMISTRY LAB by Craftyfolk, LITTLE FLAME TEST by Spellstone, SCIENCE1A by Muhlenkott, SALTLAB SEA-GREY SOLID DOUBLE CHAIN by Saltlabs, SPRING POLYGONS by Saltlabs, CHALKBOARD GEOMETRY by SaltLabs, LINED PAPER- GRAPH PAPER by Mayabella, and USEFUL MEASUREMENTS DRESS AND SKIRT by Primenumbergirl. Brain explosion. I would have the coolest dolls around in this stuff…. spoonflower name is lorigrace! very cool! enter me please & thank you! Hooray for this giveaway! vo*aka*virginiao! The Sci-Fi bundle is awesome, I would love to make something from the green nebula for example. I’d like to win this geek fabric assortment. My spoonflower name is spiringsdesigns. OH! The steam punk or science bundles would be great! LOVE IT!! this is an awesome give away! love love love these bundles!! so much fun! Girls just wanna have (geek) fun! Wow, all of these are really great bundles. I would love to win one of them! My username on SF is annosch. sci-fi is the best fi. Please, please, please enter me! I’ve just replaced my years old sewing machine and the new one needs supplies! I *heart* geek stuff! The world needs more of it! 🙂 SF username: jennartdesigns. username – crissycheek. would love this giveaway!!!! Ooo, sign me up please. I’d like to win this ! 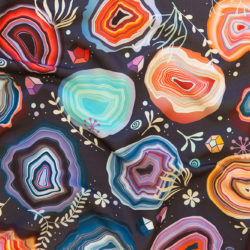 What I wouldn’t give to have some geek fabrics… lovely! Thanks for all you do spoonflower. I want a christmas present !!! I love the math print! Again, I think my Spoonflower name is the same as my name. . .! I would spread the word of the Geek! Awesome fabric! Even geeks need awesome fabric!! I hope you were tailking about 7 am EST on Dec. 12th! Cross my fingers! A wonderful selection! I also loved to learn about the Spoonflower on Etsy shop, they go so well together. These are awesome, specially the science and steampunk bundles, I’d love love to win, I can’t think of enough projects to make with these! (my spoonflower username is melibusla)Thanks! I would love to receive one of those as a Christmas present. Oh, me, please! I’m madamehardy. Very special set of treats indeed! Any of those bundles would be awesome! Those bundles sound like so much fun! and even thread to sew with. Yay! So many colors of thread! Spoonflower name is wwiiirosie. i love geek fabric! and thread! is it geeky thread, too?? Wow, devine prize! Please enter me in the draw. Spoonflower username kellione. Fun bundles! THANKS for the chance! Ooh! 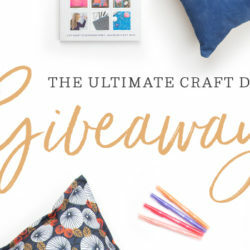 I’d love to win these fabrics and thread! Oh, wow! Sign me up – doctoraicha on spoonflower !! What a day to find the twitter and blog! Geek fabric FTW! I’m in love with the Alt-Aesthetic fabrics. I wants them! 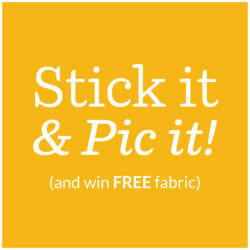 Yes, please enter my name for these fab fabrics! Am I too late? AaaRRgggg. Me me me! I’m a geek! Want! Spoonflower name is kimu. Ok. This one is now closed. Such pretty fabrics *_* I sure can make some cute dresses out of those! On the eleventh day of Christmas I finally made it! Pick me please.